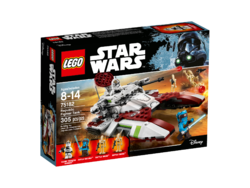 75182 Republic Fighter Tank is a Star Wars set released in 2017. 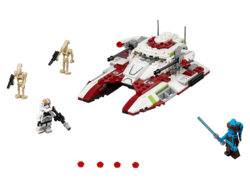 Engage the Droid Army with this LEGO® Star Wars Republic Fighter Tank, featuring an opening top hatch with minifigure cockpit, 2 elevating guns with stud shooters, rear ammo store and hidden wheels for a hover look. 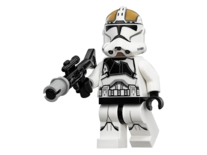 This set also includes 2 minifigures and 2 droid figures. Elevate the stud shooters and blast the Battle Droids! 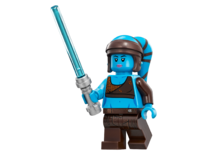 Weapons include Aayla’s Lightsaber, 2 blasters and a blaster rifle. Measures over 2” (7cm) high, 6” (17cm) long and 4” (12cm) wide. Facts about "75182 Republic Fighter Tank"